100AM OPEN HOUSE: How good are your upper-body strength and endurance? 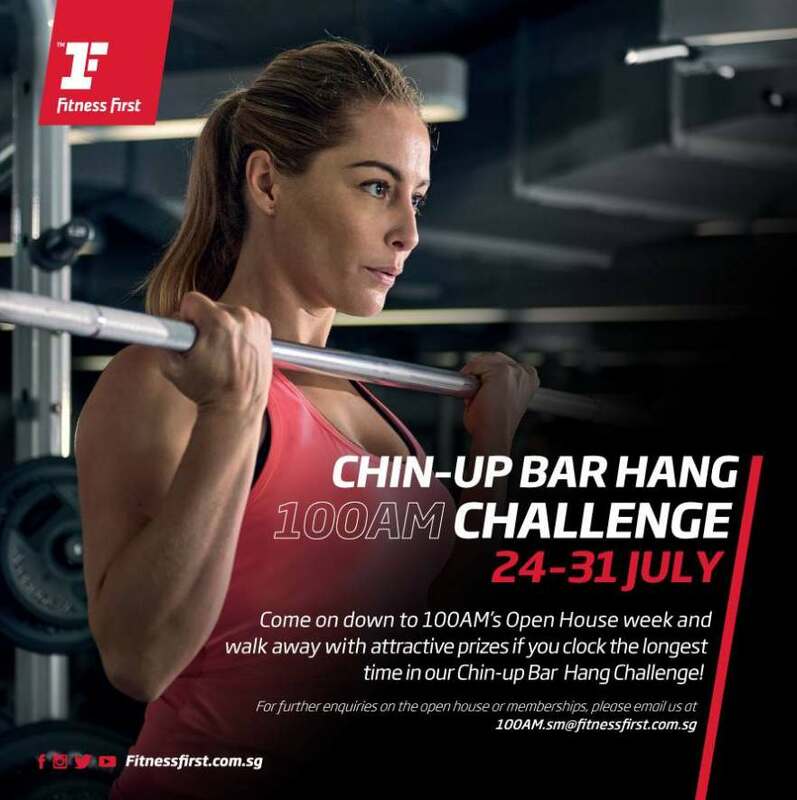 Get your chin up and challenge yourself to this timeless workout at 100AM’s Open House week from 24 – 31 July. Be rewarded with attractive prizes if you clock the longest chin-up time, so hang in there! Find out more at Fitness First Singapore.